Passengers from more than 30 countries were on board the Ethiopian Airlines flight from Addis Ababa to Nairobi that crashed on Sunday, killing 157 people. 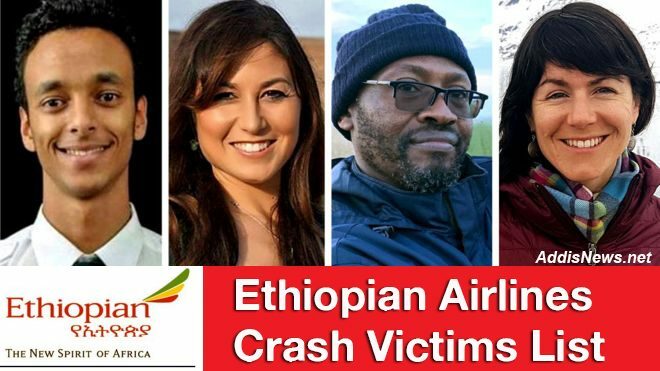 Among the victims were 32 Kenyans, 18 Canadians, nine Ethiopians and seven Britons, according to a passenger list from the doomed flight published by Ethiopian officials. Nineteen United Nations staff members were among those killed, the UN said. Here's a list of the victims and what is known about some of the victims. Kenya -- 32Hussein Swaleh, a former Kenyan football administrator, also died in the crash, the Confederation of African Football (CAF) confirmed to the BBC.The head of Kenya's football federation tweeted that it was a "sad day for football".Mr Swaleh was reportedly returning home after officiating in a CAF Champions League match in Alexandria, Egypt, the CAF said in a statement. Dr. Oluga.Dr. Grace Kariuki was reportedly returning back home from a cancer-related training in Egypt.